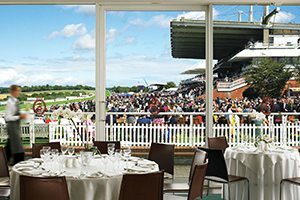 Enjoy luxurious VIP hospitality with our private Grandstand Box at the Cheltenham Festival. Entertain your important clients and guests in a fantastic private Level 4 Grandstand Box. Complete with its very own viewing balcony overlooking the winning line, it provides a superb base for the day as you and guests sit back and enjoy your Cheltenham Festival hospitality and the racing action in style. Additional guests can be accommodated up to a maximum of 18 guests on a buffet basis. Prices based on a booking of 18 at Gold Cup Day.